If you browsed through social media on Jan. 30, chances are you saw #BellLetsTalk circulating around. Political leaders, celebrities, corporations and even McMaster University shared the hashtag in support of “ending the stigma” around mental illness. But like #BellLetsTalk, McMaster’s mental health initiatives seem more performative than anything else. While offering “self-care” tips and hour-long therapy dog sessions can help students de-stress and perhaps initiate conversations about mental health, it alone is not sufficient. This sentiment is shared amongst many other students and has been brought up time after time. It is truly disheartening then that the university seems to do little to meaningfully address students’ concerns. I need more than just self care. I need accessibility in education, I need anti discrimination policies, I need an administration that will take hate crimes seriously, I need a better insurance plan. Self care won't fix the barriers that universities create. Instead of investing in more counsellors at the Student Wellness Centre or restructuring their support systems on campus, starting Feb.4, McMaster is running Thrive Week. Thrive Week is a week-long initiative aimed to “explore [students’] path to mental health”. The week boasts events including yoga, Zumba and meditation circles. There is no doubt that engaging in wellness and mindfulness activities, including activities like yoga and Zumba, can help alleviate some of the stresses of university and can positively benefit your mental health. However, it is in itself not enough to actually help students overcome mental health issues. McMaster acknowledges that most students seem to experience, at least during some point in their undergraduate career, mental health issues. This is telling of a systemic issue. Mental health issues are largely attributable to socioeconomic factors. Financial strain, food insecurity and lack of a responsive administration can all factor into developing mental health issues as a student. The best way to help students is to address the root of the problem, which often lies within the very structures of the university. Until McMaster addresses these systemic issues, yoga classes and wellness panels will do little to remedy students’ concerns. Beyond addressing systemic issues, students struggling with mental health issues can’t colour their issues away; they require professional help. It is true that the university offers trained peer-support volunteers at services like the Student Health Education Centre and the Women Gender and Equity Network, but again, this is not enough. The responsibility of students’ mental health should not fall on the shoulders of other students. 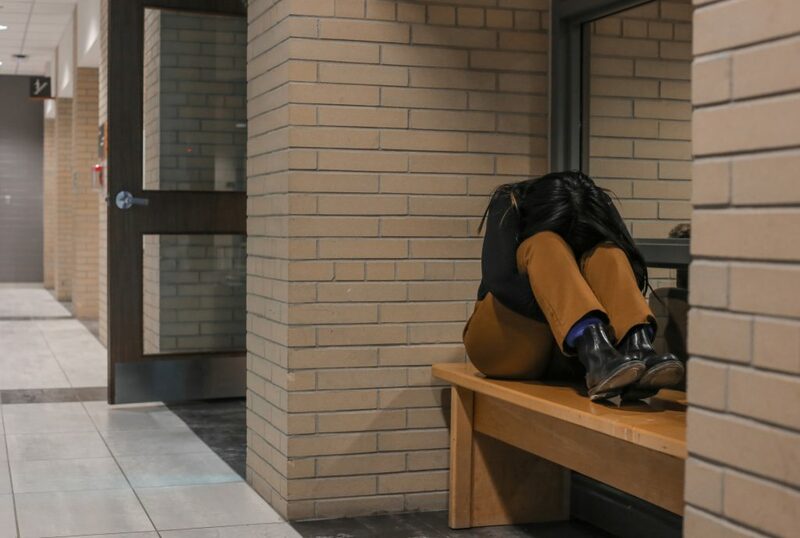 If the university truly cared about their students’ mental health, they would invest in more counsellors and actively work towards ensuring that waiting times at SWC aren’t months on end. They would make systems for receiving academic accommodations more accessible, as they currently require students to provide documentation of diagnosed mental health issues. Talk is cheap. So are free Zumba classes. While raising awareness and reducing the stigma around mental is important, what students need is real change to ensure there are actual support systems on campus. The university has a responsibility to make that change happen.